Renew Ltd (Rob & Anna) are now the NZ distributors of this fabulous set of 3 books. 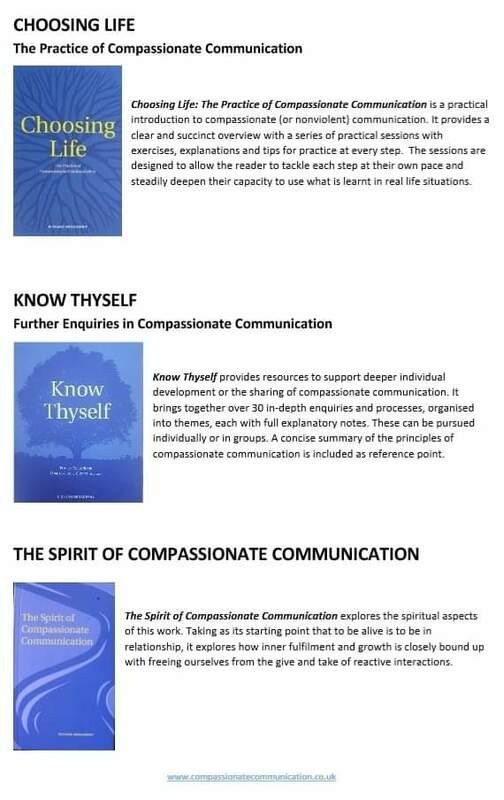 Written by UK NVC trainer Richard Broadbent, they are the perfect resource to help integrate and practice NVC. $55 plus postage per set.